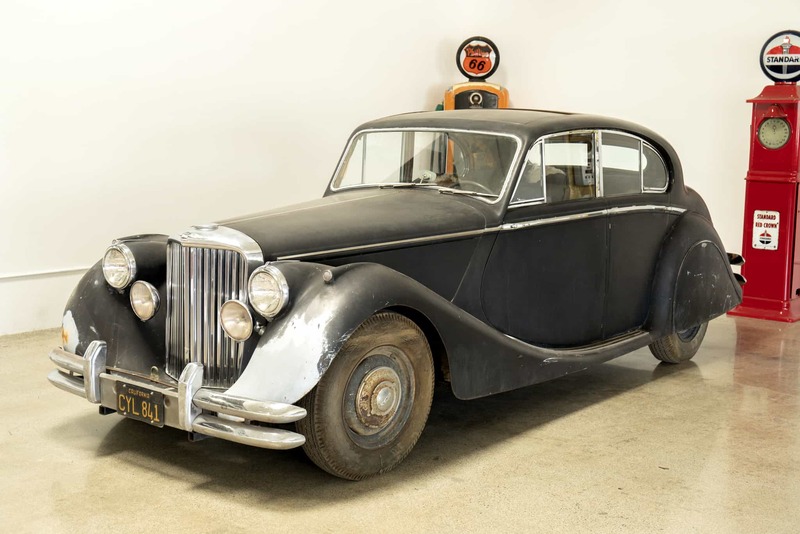 1949 Jaguar MK V Saloon: Solid original body with no signs of major rust; original paint; very complete car for restoration. This car has been stored for decades and it is completely dry. It has one owner since the early 1960’s and it has been driven since the 1970’s. The metal is in excellent condition throughout. We have not attempted to start it. All mechanical systems need to be checked prior to driving. We go to extents to document our cars in pictures and provide the most transparent listings on Ebay. Please study the pictures carefully rather than requesting descriptions. Please complete any inspections or ask any questions prior to bidding or committing to buy the car. Thanks for the interest!